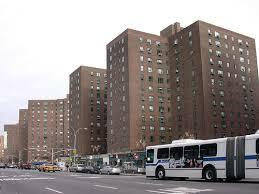 The new general manager of Stuyvesant Town and Peter Cooper, Rick Hayduk, has promised tenants that Blackstone is focused on improving services and communication and in particular, said the hiring of four new plumbers should end the two to three week wait times tenants have been experiencing for repairs. Hayduk made the comments on Saturday at a meet and greet event that was held at the tents at Stuyvesant Town’s Playground 11. 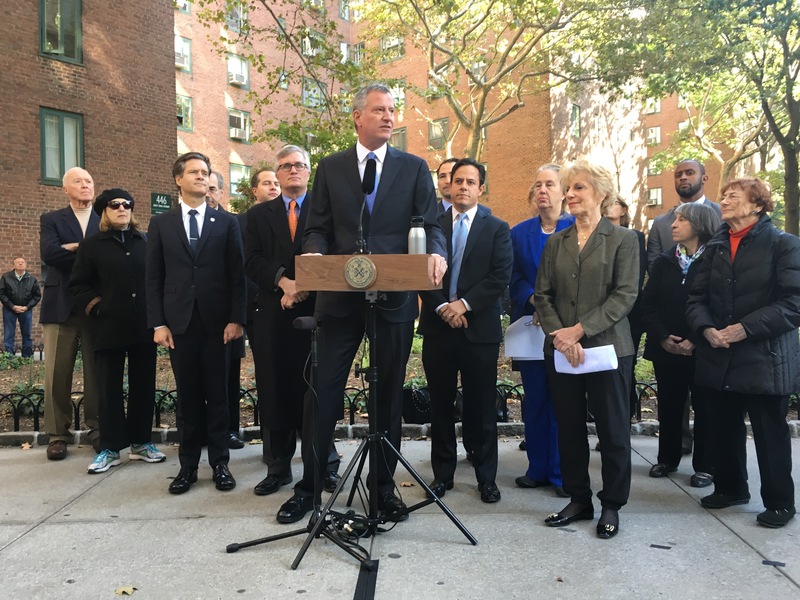 Around 150 people, mainly seniors and other longterm tenants, attended the event, as did a couple of elected officials, State Senator Brad Hoylman and Council Member Dan Garodnick. Rick Hayduk speaks at Saturday’s event. 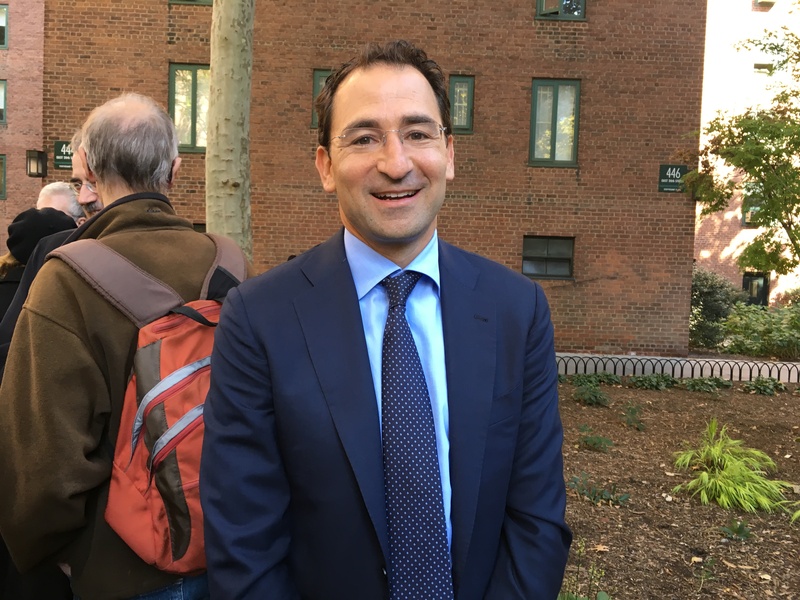 While at a podium in front of a Stuy Town logo-covered step-and-repeat, Hayduk discussed various tenant concerns, including the recent spike in plumbing repair delays. “Our standard is two to three days and that’s what you should expect,” he said. Hayduk also said that a hotline for tenants that Blackstone had set up after the company bought the property has been transferred to his office. “Go through normal channels, but if (a request) needs to escalate, we’re here for that,” Hayduk said. The number is (212) 655-9870. He also encouraged tenants to slip him notes, gesturing to his pocket while saying that several neighbors had already done so. 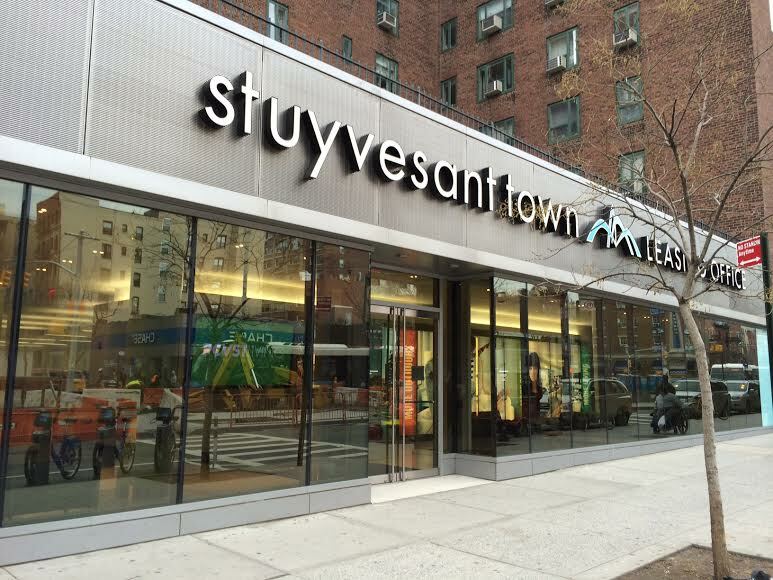 Over five years after taking control of the property, CWCapital is preparing Stuyvesant Town/Peter Cooper Village for a sale, Bloomberg news reported on Saturday. The article went on to name Blackstone Group LP as a likely bidder, with others possibly in the mix, though not Brookfield Asset Management. That company, which had announced a partnership with the ST-PCV Tenants Association four years ago with a plan for a non-eviction condominium conversion, is no longer involved, a rep for Brookfield said. Meanwhile, it’s possible a future deal could secure $5-$6 billion. The latter figure would be more than the historic $5.4 billion paid by Tishman Speyer and partner BlackRock in 2006, with the article citing a strong residential market in Manhattan. Peter Rose, a spokesperson for Blackstone, did not immediately return a call requesting comment. Brian Moriarty, a spokesperson for CWCapital, did not respond to a request for comment. The statement from DePlasco didn’t elaborate on the terms of the settlement. However, CW’s effort to sell has been hampered by a lawsuit filed by junior lenders represented by a company called Centerbridge Partners. The lenders had hoped for a chance to buy a key piece of the junior or mezzanine debt and accused CW of violating an intercreditor agreement when the servicer took title of the property through a deed last year instead of holding a foreclosure sale. A spokesperson for EastDil didn’t immediately return a call requesting comment. Susan Steinberg, the president of the ST-PCV Tenants Association, was out of town on Monday, and not available to be interviewed. Council Member Dan Garodnick, a Peter Cooper Village resident, was also unavailable for an interview on Monday morning. 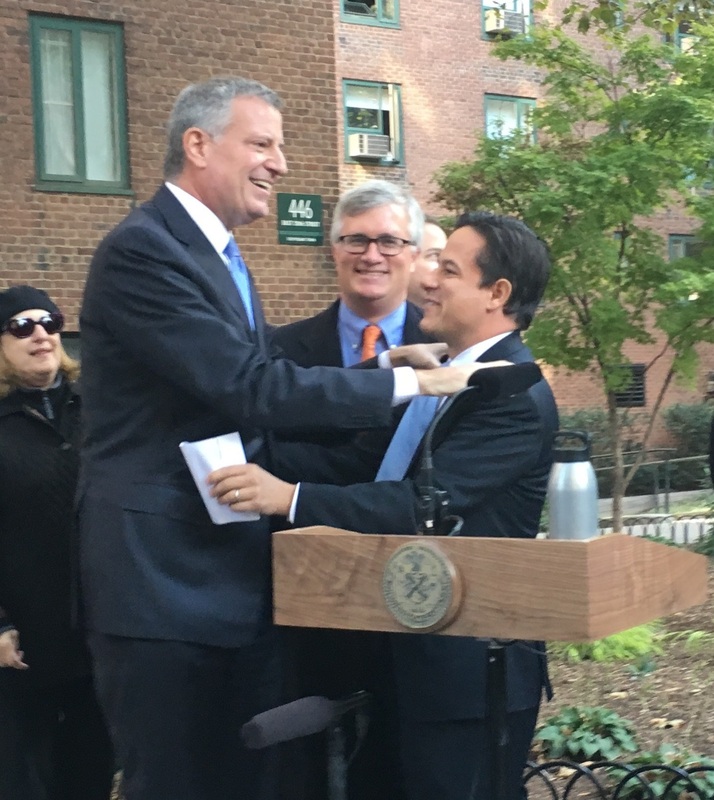 Garodnick has previously met with Mayor Bill de Blasio on a plan to maintain affordability in ST/PCV, that is, in the roughly 6,000 units that are still affordable. On Monday, Wiley Norvell, a spokesperson for the mayor, said the mayor still wanted to preserve affordability. Andrew Willis, a spokesperson for Brookfield, confirmed that the company was “no longer in the process” of bidding, although he said he didn’t know the reason for the decision. Johann Hamilton, a spokesperson for the Real Estate Board of New York, whose chair is Tishman Speyer president and CEO Rob Speyer, declined to comment. Last week, CWCapital was sued by holders of Stuyvesant Town’s mezzanine debt who claimed that the new owner cheated them out of hundreds of millions of dollars. The lawsuit, which was first reported by Bloomberg, is being led by Centerbridge Partners, which is representing six limited liability companies who are named as plaintiffs. The suit follows a decision by CW last month to take title to Stuyvesant Town/Peter Cooper Village through a deed rather than hold a foreclosure sale that had been scheduled for June 13. By doing this, Centerbridge accused CW of a “continuing pattern of misconduct” to keep control of the property and “reap an unjust windfall of $1 billion” that should go to lower level lenders, who’ve received nothing. The report went on to say the lenders, in their complaint, called CWCapital’s takeover “executed on the flawed premise that the amount owed on the senior loan was greater than the value of the property.” CW represented that $4.4 billion was owed on the mortgage when the amount was really $3.45 billion, the lenders said. A spokesperson for Centerbridge, Michele de Milly, said the lawsuit shouldn’t impact the tenants. The litigation, which also names commercial-mortgage trusts set up by Wachovia Bank, may slow down a sale process. However, it shouldn’t stop the city from its current plan of trying to work with CW to maintain affordability at the property while satisfying the bondholders. When CW canceled the foreclosure auction it also agreed to hold off on a sale for two months while working with the de Blasio administration along with local elected officials representing ST/PCV to come up with a plan. According to Council Member Dan Garodnick, this litigation doesn’t change that. 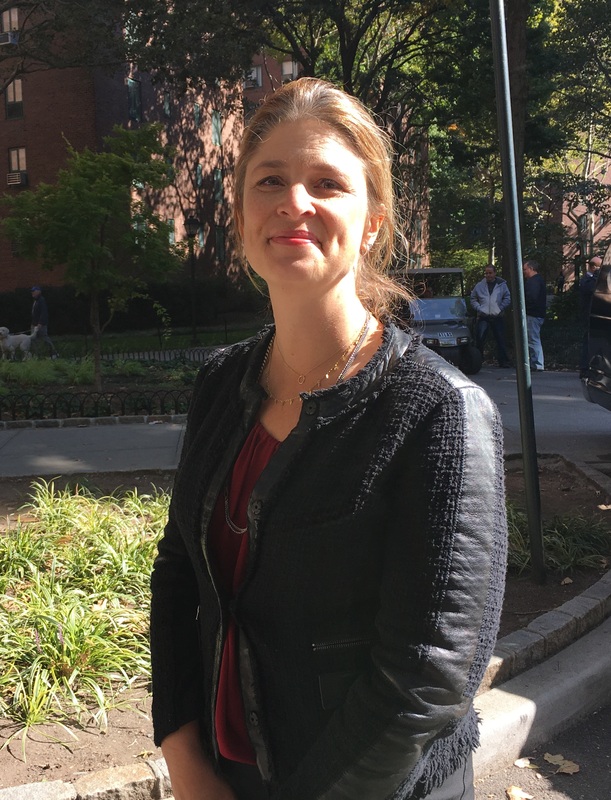 A New York Times story on June 11 had quoted Deputy Mayor Alicia Glen as saying a plan was being explored that would keep as many as 6,000 units in ST/PCV affordable in exchange for a tax exemption. However, as of late June, Garodnick told Town & Village there aren’t yet any numbers figured out and city officials stressed that was just one possibility. “The numbers that have been floated were hypothetical and not based on the substance of any negotiation,” Garodnick said. Lenders Fannie Mae and Freddie Mac have already committed to not financing a deal that would be unacceptable to the tenants or the city.